A forest ecosystem describes the community of plants, animals, microbes and all other organisms in interaction with the chemical and physical features of their environment: specifically, a terrestrial environment dominated by trees growing in a closed canopy – a forest, in other words. The organisms involved in a forest ecosystem definition are interdependent on one another for survival and can be broadly classified according to their ecological role as producers, consumers and decomposers. 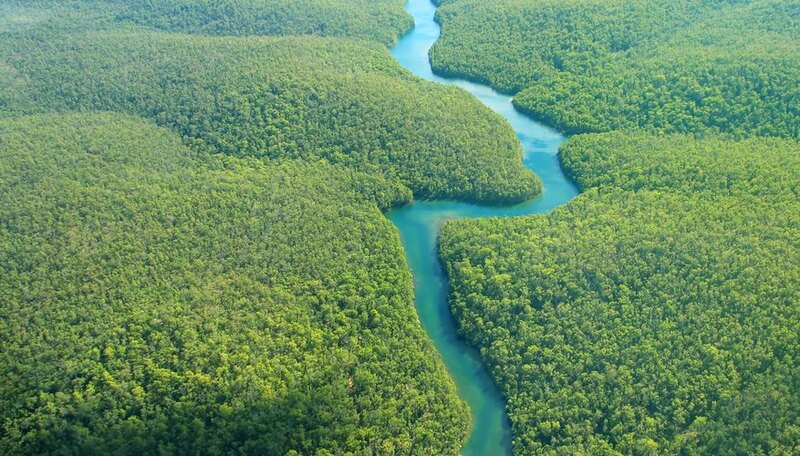 To describe forest ecosystem dynamics, we’ll use a well-known example of such an ecosystem as our model: the Amazon rainforest of South America. Let’s start our look at forest ecology where energy from the sun enters the system: at the producer level, made up of organisms that can manufacture their own energy from this solar input. 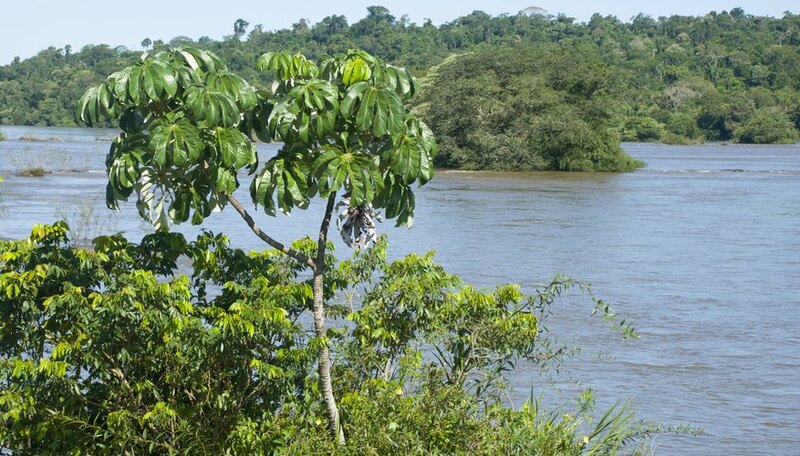 Green plants conducting photosynthesis serve as the producers of a forest ecosystem, and in the tropical rainforest of the Amazon typically arrange themselves in four layers. The emergent layer includes huge trees towering 165 feet or more that are spaced far apart. Beneath these emergent trees lies the main canopy, composed of closely spaced trees generally 65 to 165 feet tall. They provide fruits, nectar and seeds to many creatures. The understory supports very few plants as it receives very little sunlight. Almost nothing grows on the forest floor as it is devoid of sunlight. Primary consumers can’t manufacture their own energy and instead obtain it by eating green plants. We call such plant-eating animals herbivores. Herbivores may eat a wide variety of different plant materials depending on their physical adaptations and habitat preferences. 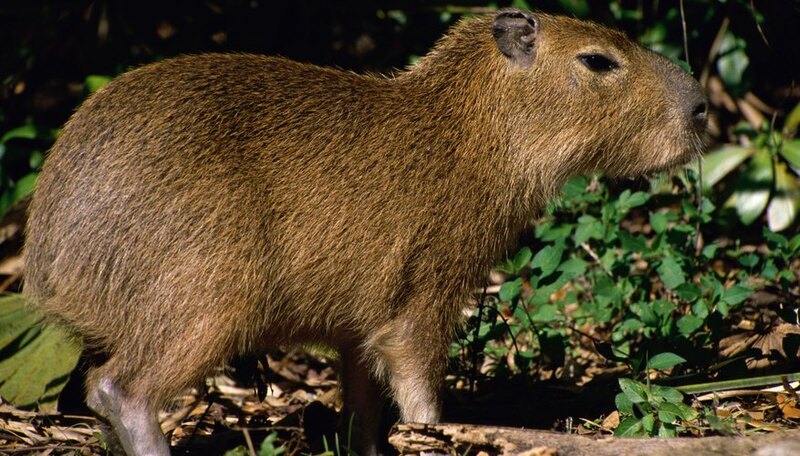 In the Amazon, the capybara, a semi-aquatic rodent, forages on the forest floor and in wetlands for grasses and water plants. Other primary consumers, such as the red howler monkey, live in the rainforest canopy and feed on the leaves, flowers, fruits and nuts of trees. Secondary consumers feed on primary consumers (aka herbivores) to obtain the energy originally produced by green plants, while tertiary consumers feed on other secondary consumers. These meat-eating animals are known as carnivores, and many act both as secondary and tertiary consumers depending on the creature they’re preying on. 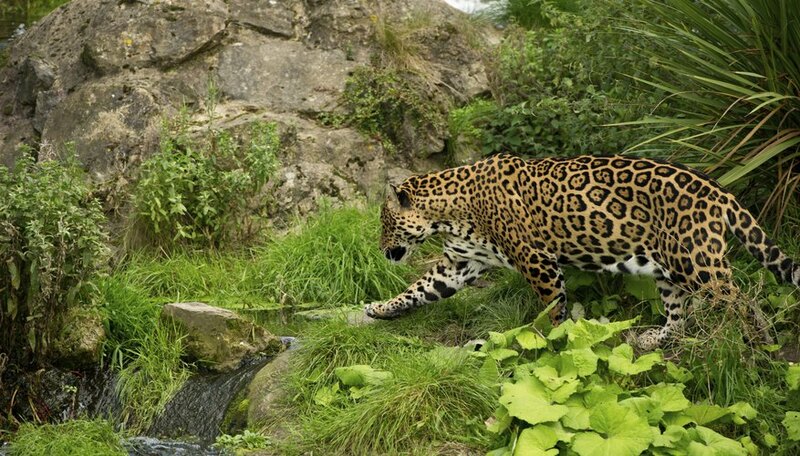 The jaguar – the biggest mammalian carnivore in the Amazon – may prey on capybaras, a primary consumer, but also readily hunts such secondary consumers as caimans, in which case – as a carnivore eating a carnivore – it plays the role of a tertiary consumer. Some secondary and tertiary consumers mix up an animal diet with plant matter: the golden lion tamarin, for example, a small monkey that will eat both fruits as well as insects and frogs. Such consumers are known as omnivores. 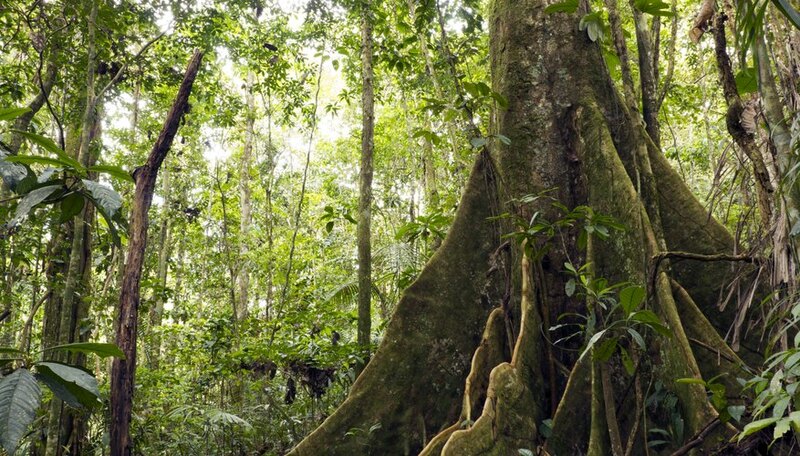 Predators thrive in all the layers of the Amazon rainforest. 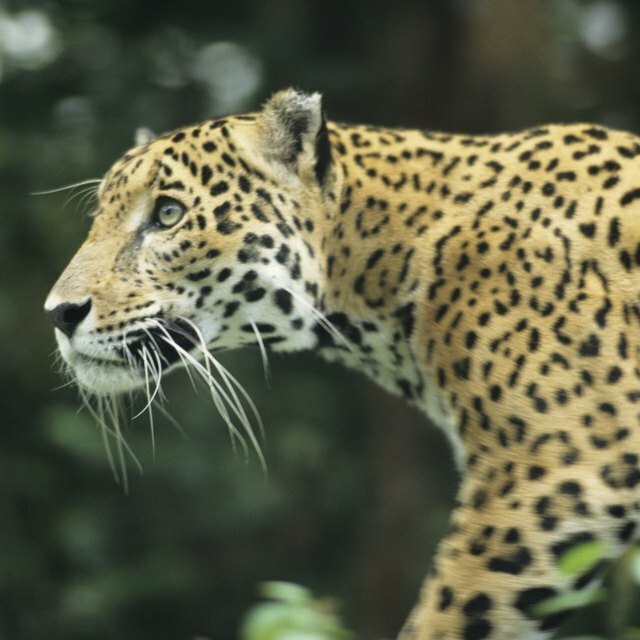 Ocelots and jaguars hunt for mammals, reptiles and birds on the forest floor and understory. Harpy eagles and the green snakes called emerald tree boas prey on birds, lizards and mammals for food. The decomposers of the forest ecosystem break down dead plants and animals, returning the nutrients to the soil to be made usable by the producers. Apart from bacteria, ants and termites are important decomposers in the Amazon rainforest. 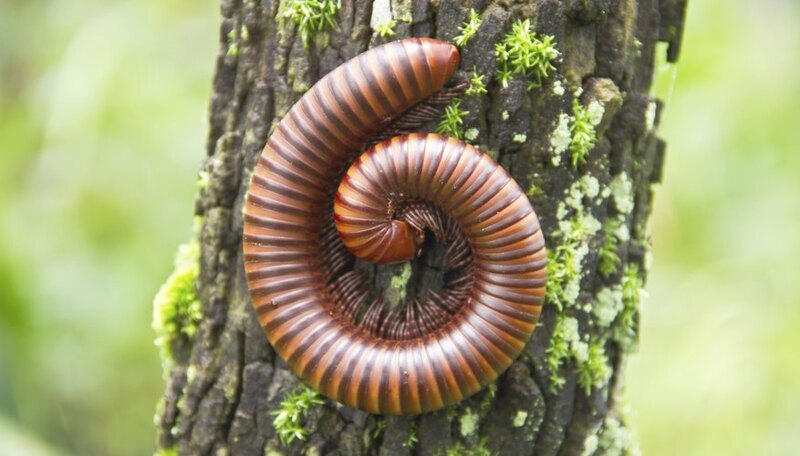 Millipedes and earthworms also help to break down dead matter. The warm and moist climate of the Amazon is conducive for the decomposers to work at a rapid pace: Dead matter is broken down within six weeks. The organisms of this ecosystem are interdependent on each other for survival. An example in this regard is the relationship between Azteca ants and cecropia trees. The ants, which thrive in the hollow stems of the trees, depend on the special juice produced by the trees for food. In exchange, the ants chase away the insects that may harm the ceropias and kill the climbing vines that might choke these trees. This sort of close, interactive relationship between two organisms is an example of symbiosis. Another example of a symbiotic relationship is the one between ants and caterpillars. The ants feed on sweet juices produced by spots on the caterpillars’ back. In return, they protect the caterpillars from attack. Debashree Sen is a technical writer and has written for non-profit organizations. She has been regularly contributing to eHow since 2009. She is a member of the Society for Technical Communication (STC). She has a master's degrees in professional writing and English literature. What Types of Primary Consumers Are in the Coniferous Forest? Sen, Debashree. "Information About a Forest Ecosystem." Sciencing, https://sciencing.com/about-6325114-information-forest-ecosystem.html. 22 October 2018. What Are the Trophic Levels in the Savanna?